Seagate Technology will cut about 6,500 jobs worldwide, or 14 percent of its workforce, with most of the cuts in manufacturing jobs, it said Monday. The data storage maker had said in June that it was aiming to cut 1,600 employees, or 3 percent of its global workforce, by the end of the September quarter to trim costs, but the new announcement suggests that the company feels the need to reduce costs further as its hard disk drives battle in a slowing PC market amid the emergence of flash storage in devices. The new cuts will be in addition to those announced last month. The move by Seagate comes even as the company revised upwards its preliminary financial information for its fiscal fourth quarter and year-end 2016, which ended on July 1, citing better than expected demand for its hard disk drives. The company now expects to report revenue of about US$2.65 billion for the fiscal fourth quarter 2016, against an earlier forecast of $2.3 billion. Seagate said it expects to report HDD shipments of about 37 million for the quarter, which works out to approximately 62 exabytes, average capacity per drive of 1.7 terabytes and average selling price per unit of $67. The positive results represent preliminary figures for the fourth quarter only, a company spokesman said. “As we have communicated in prior public filings and statements, we remain committed to reducing our global manufacturing footprint in line with long-term macroeconomic conditions and lower overall demand levels,” he added in an email. The cut in workforce is expected to be completed by the end of the company’s fiscal year 2017. The focus of the new cuts is on reducing the company’s manufacturing footprint, the company spokesman said. Most of the manufacturing operations are in Asia but the company also has some manufacturing facilities in Europe and the U.S. that will be affected, he added. 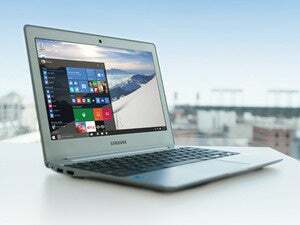 IDC reported on Monday that the PC market declined year-on-year by 4.5 percent in the second quarter of this year to 62.4 million units, but the decline was smaller than an earlier expected 7.4 percent because of a return to growth in the U.S. market.